Whether thanks to history or cinematic recreation, some things are iconically Western, like cowboys, saloons, and stagecoaches. And — Wells Fargo? While not what many of us think of when we pass by a Wells Fargo branch, the modern-day Wells Fargo can trace its roots to the Wild West and the famed Pony Express. Those stagecoaches on its sign aren’t just for show. Today’s Wells Fargo may not operate many cross-country stagecoaches, but it does have thousands of bank branches that range from “Ocean-to-Ocean.”. The bank also boasts a popular stable of credit cards designed to suit the needs of nearly any consumer. 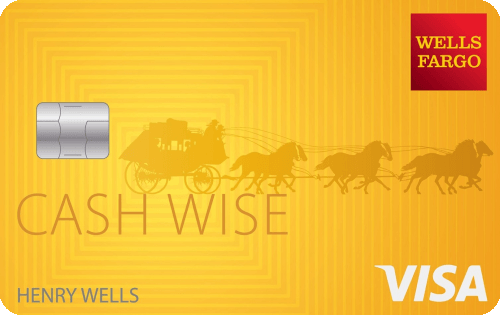 You don’t make it in banking for over a century if you can’t adapt to changing times, as Wells Fargo well knows. That’s why it periodically updates its card offerings to better suit the needs and wants of its customers. Like the Wells Fargo Propel American Express® Card, which got a facelift in mid-2018, coming back stronger with more rewards options that reflect how its cardholders spend. Not only do users earn triple Go Far Rewards points per dollar on an array of travel-related expenses, including rideshares and gas, but also on dining and select streaming services. What makes this card even more impressive is the fact that cardholders can earn big rewards in multiple categories — all without an annual fee. And there’s a competitive signup bonus, as well as an introductory 0% APR offer. 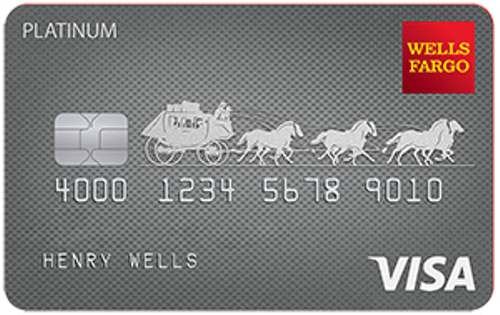 While this card operates on the American Express network, as its name implies, the card is issued by Wells Fargo. This means that the card is accepted anywhere that accepts American Express, but you’ll actually deal with Wells Fargo and log into your Wells Fargo account to pay your bill, use your rewards, and track your purchases. As awesome as points can be, some consumers simply don’t have the time to spend on maximizing points with well-researched redemptions or don’t want the bother of tracking categories. And, then, there are the purchases that don’t fall into any of those categories anyway. That’s where unlimited cash back saves the day. This card gives users the same 1.5% cash back on every purchase, anywhere, with no limit on how much you can earn. And, as you might guess, redemption is simple; just redeem your rewards for a credit card statement credit and get back to living your life. Of course, unlimited purchase rewards aren’t the only thing this card offers. New users can earn a healthy signup bonus for reaching the relatively small spending requirement, and that’s not all. New cardholders will also be eligible to earn 1.8% cash back on select mobile wallet purchases, as well as receiving a 0% intro-APR offer. One thing to note, particularly if you’re thinking of signing up for multiple Wells Fargo cards, is that you can only earn one Wells Fargo signup bonus every 15 months. So, you may need to space out your signups if you want to earn multiple signup bonuses. Although credit card purchase rewards often take the spotlight, there is one credit card perk that can save you hundreds of dollars: introductory 0% APR offers. Because there is no better interest rate than 0%, especially when you can enjoy it for a year or more. And this card is definitely “more.” It offers a full 18 months of 0% interest on both new purchases and balance transfers, making it possible to pay off your balances without worrying about high interest fees hampering your progress. You won’t be hampered by an annual fee with this card, either. Of course, every deal does have a little fine print, and this one is no exception. Only new purchases and balance transfers are included in the 0% APR offer, which means other transactions, like cash advances, will still earn interest at the normal rate. Additionally, be sure you pay off as much of your balance as possible before the end of your introductory offer. The balance remaining when the offer expires will start to accrue interest at the regular new purchase or balance transfer rate. You’ll also want to note the card’s balance transfer fee. While you’ll pay a reduced fee the first 18 months, you should still include the fee in your calculations, as balance transfer fees can reduce the total amount you can transfer to the card. While we all know that having a high credit score can make it easier — and cheaper — to get new credit, actually reaching a high credit score takes a lot of work. One of the easiest ways to start (or keep) building credit is with the responsible use of a credit card. But how to get credit if you don’t have it already? A secured credit card. The Wells Fargo Secured Credit Card is available to an array of credit types, including those who need to build (or rebuild) credit. The card has a $300 minimum deposit requirement, and the size of your credit line will be equal to the size of your deposit. This means you can make a larger deposit to receive a larger credit line (which can be worthwhile, as larger credit lines make it easier to maintain a low credit utilization ratio). Given that this is a secured credit card, your deposit will be kept in a secured savings account and act as collateral for the credit line. So long as you don’t have an outstanding balance, you’ll receive your full refund back once you close your account. Wells Fargo will periodically check your progress, and those cardholders who show significant credit improvement may be eligible for an automatic upgrade to an unsecured Wells Fargo card. If upgraded, your full deposit will be returned to you. By law, you need to be at least 18 to hold your own credit card, and at least 21 if you don’t have your own income. In either case, credit card eligibility comes around for many people while they’re in college, making student credit cards an ideal place to start building credit. Specifically designed for students, the Wells Fargo Cash Back College℠ Card offers purchase rewards, manageable credit lines, and no annual fee. And, on top of the normal 1% cash back rate, new cardholders will earn 3% in select categories for the first six months. Cardholders can choose to have cash back rewards automatically redeemed to their account in $25 increments as a credit card statement credit. You can even earn bonus rewards for shopping the Wells Fargo Earn More Mall shopping portal. As a credit-builder card aimed at students, this card also offers several perks and tools to help students stay on track. That includes a relatively low regular APR (based on creditworthiness), a six-month 0% APR offer, and access to a variety of credit education and tools. While Wells Fargo certainly has a wide range of consumer credit cards, it doesn’t solely serve the consumer market. The bank also has a bustling small business services division that includes several solid options for small business credit cards. The Wells Fargo Business Platinum Credit Card stands out from the other offerings thanks to its low fees and flexible rewards. There are no annual card or rewards fees, and cardholders can choose whether to earn cash back or points with their purchases. Cardholders who choose to earn rewards points will earn 1X point per dollar spent, as well as a bonus 1,000 points for every monthly billing period in which they spend $1,000 or more. Points can be redeemed for a variety of things, including gift cards, merchandise, and airline tickets. Redeeming online also nets you a 10% bonus. With roots that stretch back to the 1850s, Wells Fargo has seen — and been a part of — a lot of history. 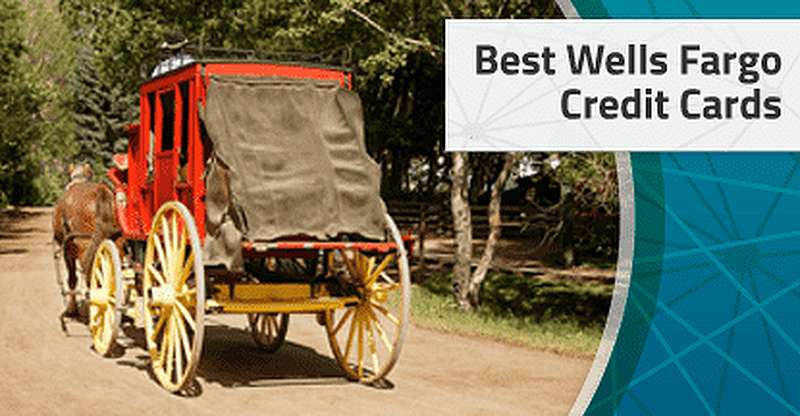 The company ran stagecoaches across the West, participated in the famed Pony Express, and helped connect the wild frontier to the rest of the country. 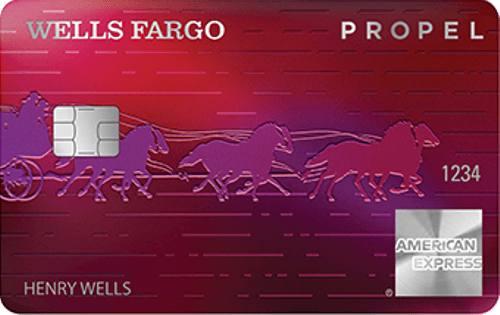 Although you won’t find many horses at modern Wells Fargo branches, you can find a number of banking and credit products for both businesses and consumers — including a credit card designed for nearly any type of cardholder.